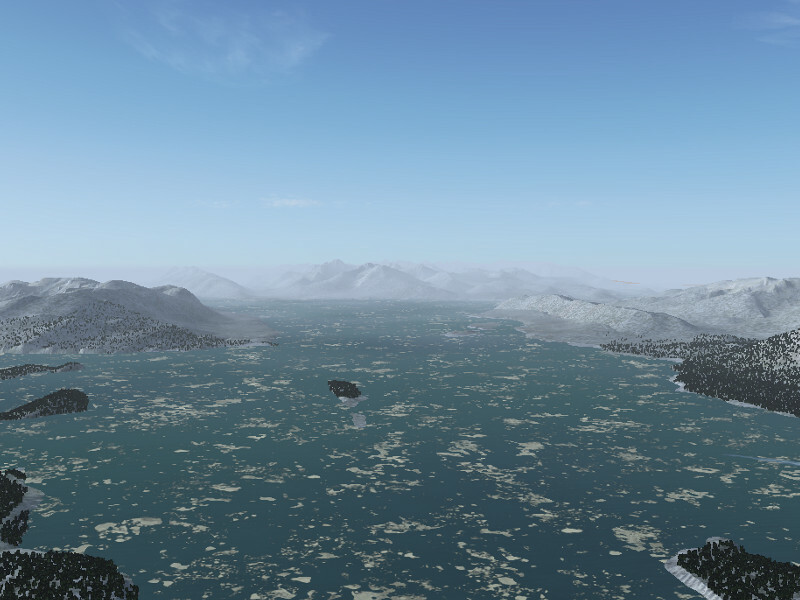 Download FlightGear 2.12 for Linux, Mac or Windows for free from FlightGear.org. 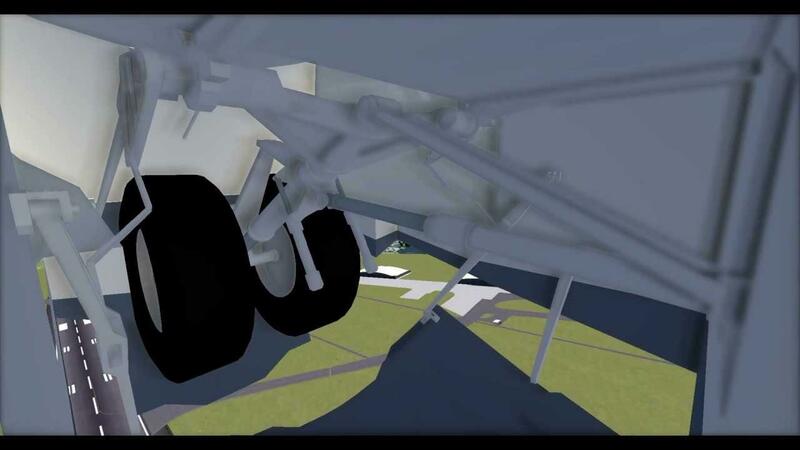 A new tracking animation provides an easy way for aircraft developers to animate complex kinematic systems like gear scissors or landing gear doors attached to struts. 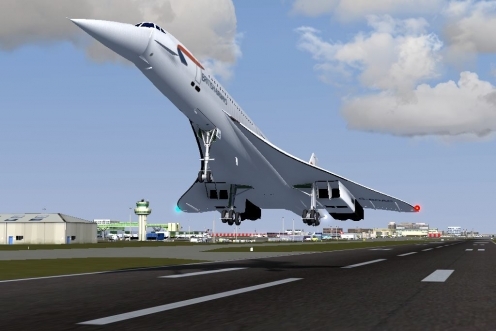 The animation can be implemented in Blender and then exported to FlightGear. Icebergs now appear in the arctic seas. Deciduous trees shed their foliage if they are above the snowline, creating a convincing winter look. The climatic snow line moves up and down as you fly around the world. Basic weather is now integrated with Atmospheric Light Scattering. Clouds are placed more realistically when using detailed weather modelling. See also Novel features for the next release for more details. An ultra-high quality shader has been introduced, algorithmically generating detail down to the centimetre scale. Autumn colors are now simulated from the middle of summer through to the beginning of winter. Low visibility conditions are now more realistically rendered. Trees move with the wind. Surf is now visibile below steep sea-cliffs. Read the full 2.12 Changelog for a list of all news and enhanced features. This game is very beautiful, I´ve heard of it before but after seeing these images I am tempted to test it! Please do test It's completely free and open source. Thanks to a steady effort over the last few years, the new rendering systems really shine on newer hardware. Only bear in mind that FlightGear is first and foremost a simulator so there is a tremendous focus on detail and realism with regards to flight dynamics, weather, procedures sounds etc. Some planes are pretty easy to take for a quick spin, such as the default Cessna 172P or Cessna Citation X. Larger planes, such as the Airbus A380 or Boeing 777 takes days or weeks to master and achieving a smooth landing in one of them is a "pat yourself on the back" moment. If you like it, I do recommend trying it with dedicated flight controls such as a joystick or yoke. Even the most inexpensive controller is far better than fiddling with keyboard and mouse. For helicopters it's a must as they can not be flown without a joystick. Flight gear has always been amazing...Love this project.